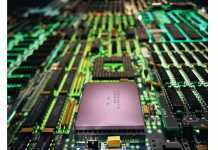 In a bid to promote domestic manufacturing of electronic items, the government of India has announced to hike the import duty. Imported electronic goods such as smartphones, televisions, LED lamps, and other electronic goods will now cost more. Imported smartphones, for instance, will now be charged at a higher, 15%. The Finance Ministry said that this will boost local smartphone manufacturers’ production under Maki in India. At the same time, it will also impact certain smartphone companies that sourced cheap smartphones from overseas to seize the market. Earlier this month, Arun Jaitley had said that the government is doing its best to aid indigenous manufacturing. The import tax levied on LED lamps has been doubled from 10% to 20% to make sure that domestic manufacturers remain competitive against foreign imports. Television sets, similarly, will now cost more as the import tax on them has been increased from 10% to 15%. People are speculating that this move has also been carried out in order to force certain western companies to start manufacturing in India locally. Apple, for instance, has been in constant dialogue with the government over its manufacturing plant in Karnataka. “This is to encourage industry to make in India. Those already manufacturing should also remain competitive,” said a senior official when asked about the intentions behind the move. 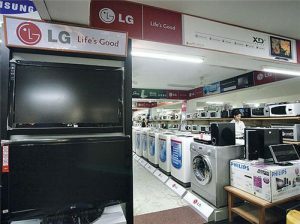 India is one of the largest consumers of electronic goods. In the fiscal year 2017-18, nearly $42 billion worth of electronic items were imported in the country. However, this move now will promote local manufacturing, while also providing a level playing ground for domestic and foreign companies.